“If this world comes to an end, I will go to Vienna where everything happens 50 years later,” Gustav Mahler once said. When it comes to street food, however, the city seems quite up to date. 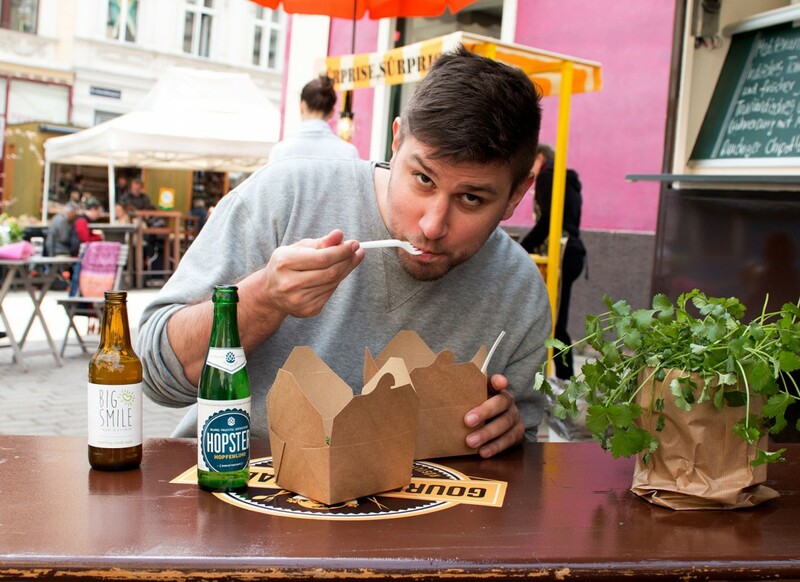 Cities like New York, London or Berlin have long had their fair share of food aficionados who’d rather take their culinary creations to the street than serve them on plates in restaurants. Now they have arrived in Vienna, ready to compete with the city’s traditional Würstelständen (hotdog stands) and kebab houses. Today, our beautiful city can clearly keep up with Williamsburg or East London where you can spend days on end on street food markets. Don’t believe us? Just watch: One fine Saturday we went on an eating spree, eating nothing but street food from market stands, food trucks and at street parties. 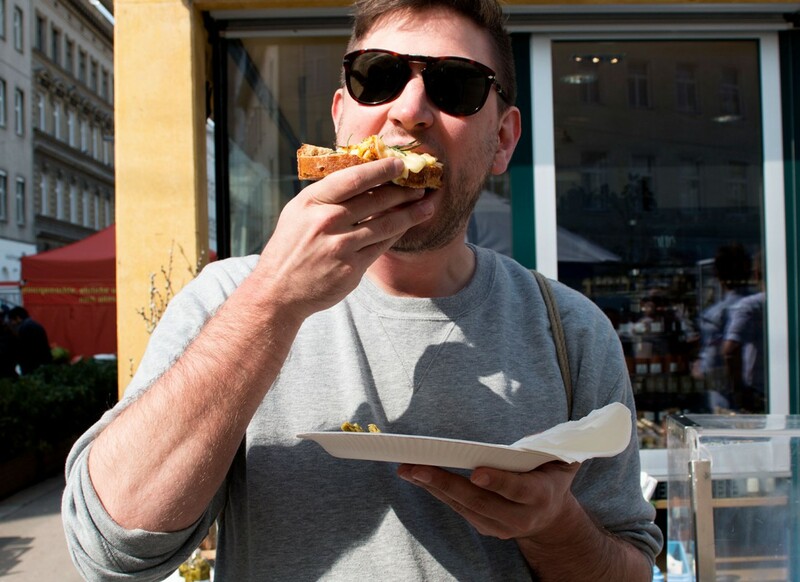 Our tour starts at kaes.at in Vienna’s bobo heaven, the Yppenplatz in the 16th district, where Stephan Gruber sells cheeses from the Austrian Bregenzerwald region and Switzerland, and the probably best grilled cheese sandwich you ever had. 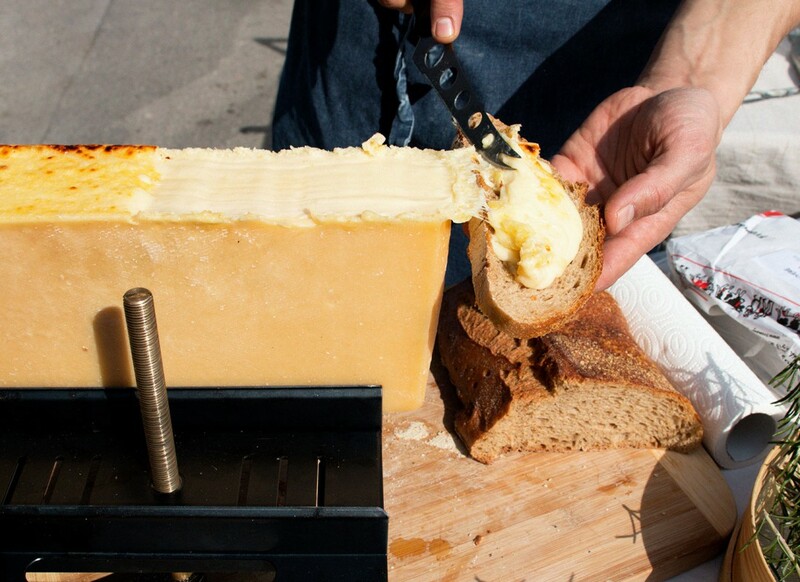 A slice of melted Raclette cheese on homemade bread, topped with herbs: This is not about culinary art, this is simply about the best quality ingredients out there. 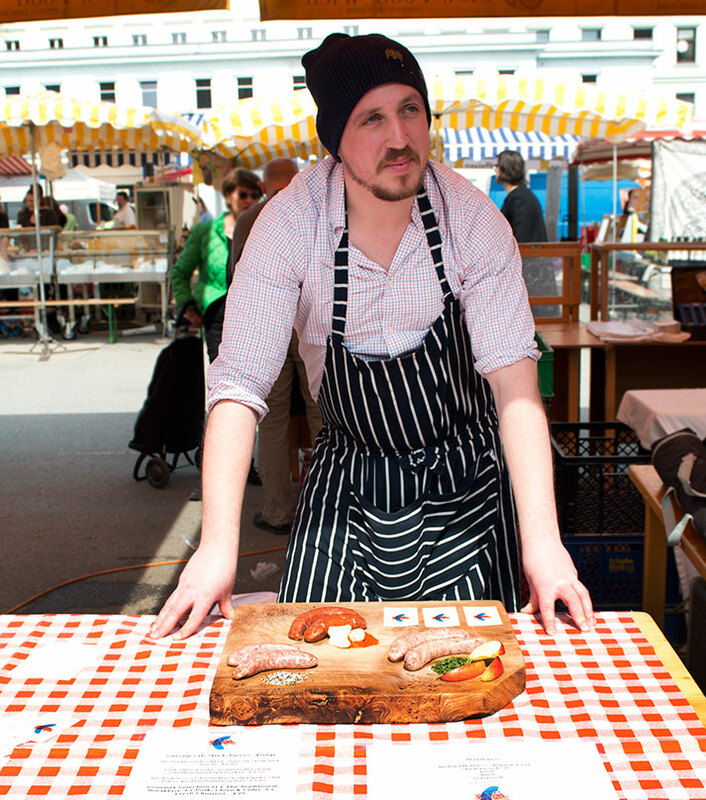 Unsurprisingly, Stephan is also the patron of the city’s slow food movement, promoting regional, clean and fair food. Most people think of burgers, burritos and hot dogs when they hear street food. But let’s not forget our amazing traditional dishes. 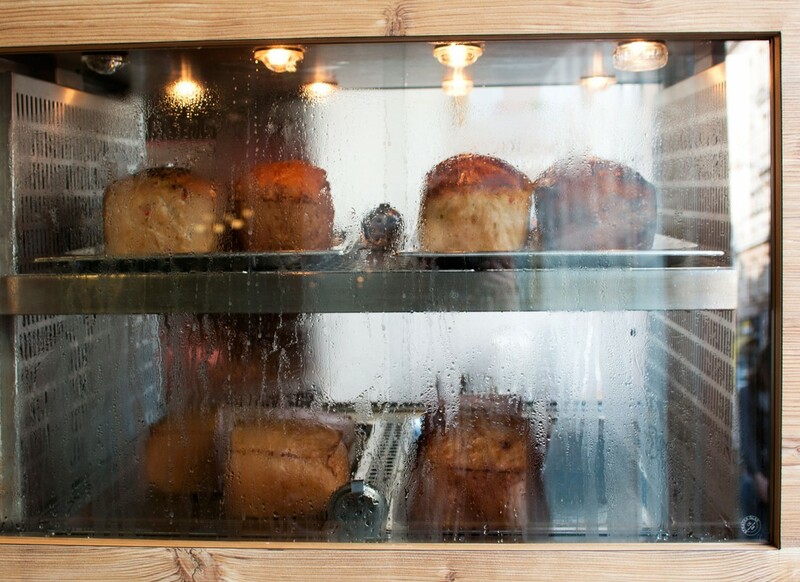 Because seriously, people on London’s Broadway Market would lick their fingers after tasting Stephan’s Raclettebrot. It’s only a short walk to the Xaver Brauerei in Hasnerstraße, where Schwein und Wein (“Swine and Wine”), have found – or rather had to find – a new home after firemen had to come and extinguish the smoker in their former location on Yppenplatz. Following the traditions of old Viennese cookshops, they braise pig heads, snouts and tails and serve them on a bread roll with homemade pickles and parsley. If you take a closer look at the picture above, you can see a little piece of snout. We like the new location because here you can wash down your pig with a pale ale from Xaver’s brewery. Yes, it’s only 11 a.m., but the sun is out and you’re only young once. This day is off to a good start. A little digestive break and off we go to Kutschkermarkt in the 18th district. 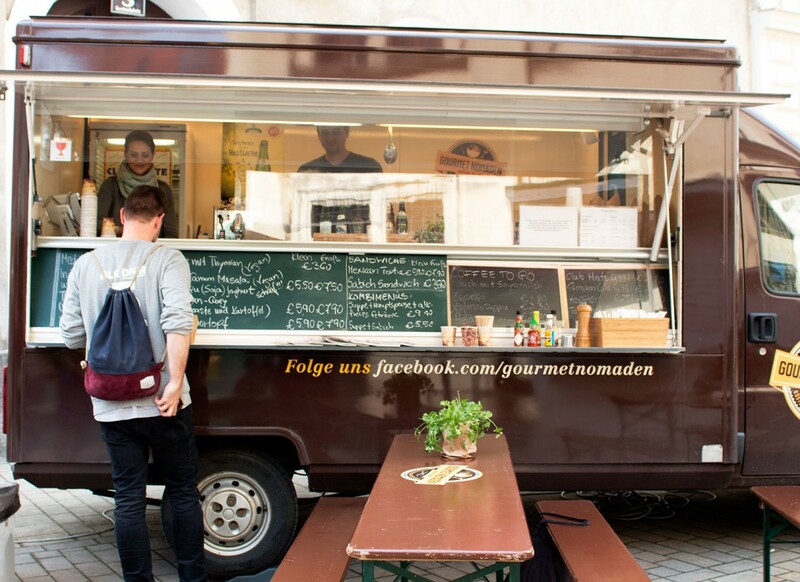 This is where you can find the Gourmet Nomaden food truck on Saturdays, offering freshly made stews, curries and casseroles from all over the world. We had a wonderful Indian tomato kurma with garam masala (hot and amazing!) and a Thai kaeng massaman curry. 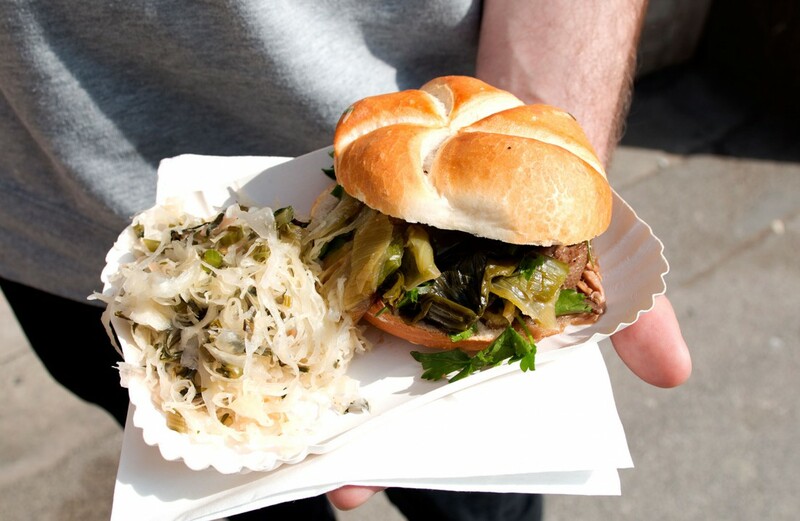 Interesting fact: Gourmet Nomaden, their colleagues from Wrap Stars and the burger experts from Hy-Kitchen were the first to cut through the red tape involved in getting a permission from Viennese authorities to sell food from food trucks. We appreciate that – and their cooking skills! Frankly, the first three stops have left us pretty stuffed, so we decide to pay Richard from Britwurst on Karmelitermarkt a visit. His fresh British sausages, made from locally sourced ingredients, could easily earn him the title of Saviour of Vienna’s British Expat Community. And to those of you who would now like to argue that Britwurst has nothing to do with street food because those sausages are raw and have to be fried at home: Just go and get yourself Richard’s Apple and Leek Sausages or any of his other creations. We, of course, couldn’t leave without a package. For harder times – or Saturday’s hangover breakfast. Actually, we were pretty full already, but there is this saying that there’s always room for desert. Nice to find Road Crêpe and their truck at WAMP Designfestival at the Museumsquartier. People were queuing in front of the truck, but we decided to join them and wait for our roasted applesauce crêpe on cardamom cinnamon sauce. And another beer. Whooops. When talking about Viennese street food, you will ALWAYS talk about Käsekrainer and Leberkäse at some point. First, they are just part of our culture, and second, given the quantities we eat, some of it has literally been stored in our DNA. So it’s nice that there are creative people who celebrate these Austrian classics like Wursti’s near the Pratersauna club. We think it’s just appropriate to finish our tour with a Chilli-Käseleberkässemmerl (bread roll with chilli and cheese leberkäse, many more kinds available) at Leberkas Willi on Josefstädter Straße. 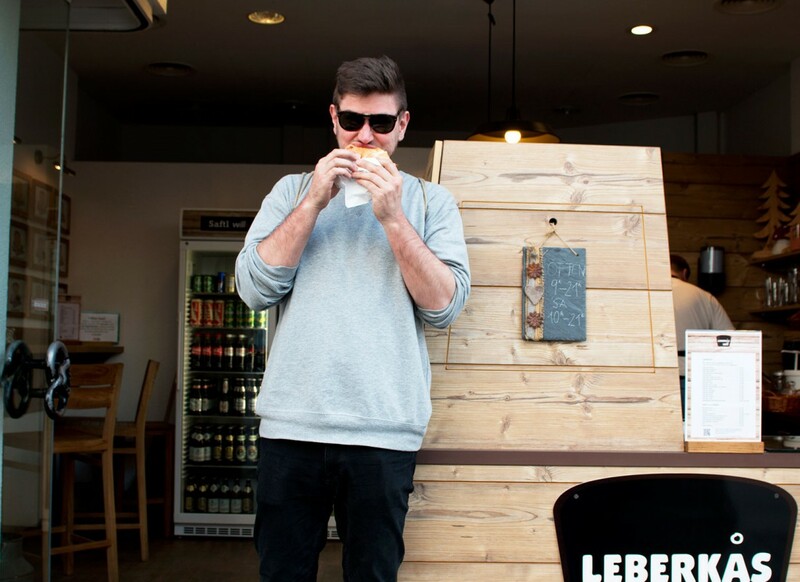 Here, they cherish Leberkäse and care about the quality and origin of its ingredients. 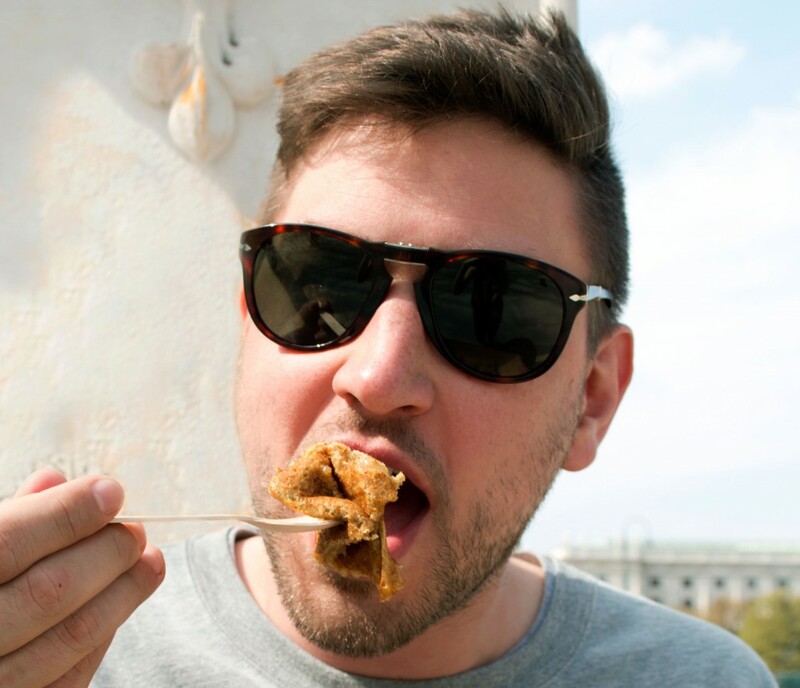 After a day of thorough research, we can now proudly proclaim that Vienna has a more than respectable street food scene. With many international dishes on offer and a focus on quality and local ingredients for Austrian classics, Vienna can easily keep up with other cities. Not that there is no room for improvement: Think of Vietnamese bánh mì…or jerk chicken…pirozhki…Chinese flying noodles. Damn. Getting hungry again.